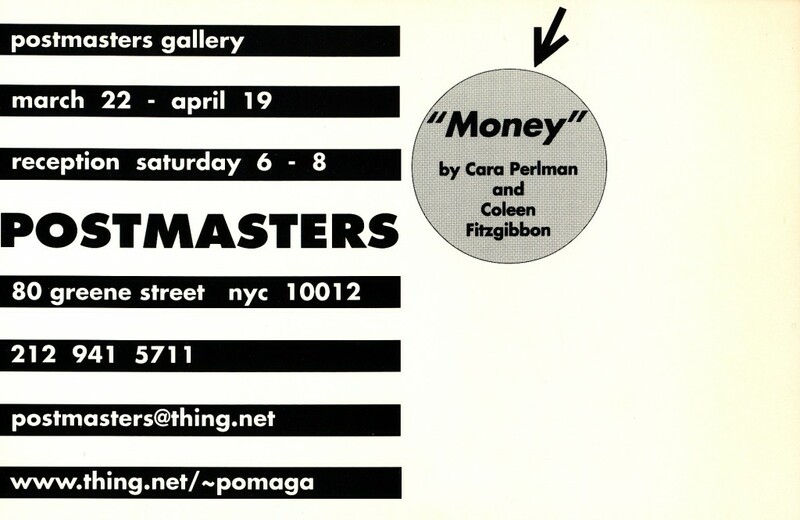 Postmasters Gallery, New York, NY. March 22 – April 19, 1990. Postmasters Gallery, New York, NY. 1990. Money film installation by Cara Perlman and Coleen Fitzgibbon.